When you really stop and think about it, the answer is sort of self-explanatory. High school is the time in your life when you are no longer a child, yet also not an adult. It’s a weird type of purgatory where you forget childish things and yearn for something better. 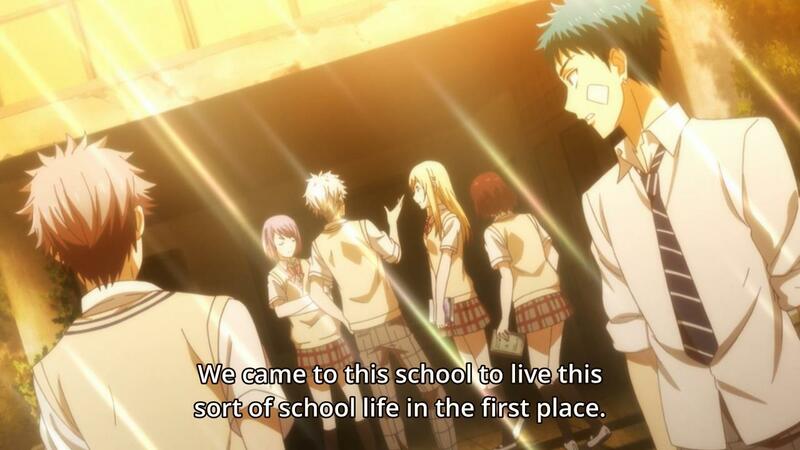 Looking at series like Mikagura Gakuen Kumikyoku and Yamada-kun and the Seven Witches, the sentiment undoubtedly exist in the protagonists to do away with their humdrum ways of living leading to the rather unorthodox premises they are bound to. In terms of the viewer, entertainment is a prominent concern, but just like the characters having their lives inexplicable changed, these shows do hope to change the way the viewer lives or at the very least, inspire them to accomplish more. That might be a very elementary or obvious perspective, but one that I believe is at the forefront. Seeing how Japan specifically is facing the prospect of an all time low with birth rate, a little inspiration might push its youth to work harder and eventually, begin to have children. Of course, this statement is a bit of stretch and arguably, seen to be part of the problem (14:37-26:48 sums it pretty well). Being someone who personally relished graduating high school, for the Japanese audience, that period of time does represent one of great freedom and comfort that really doesn’t exist anymore when you leave it. No financial responsibility, no pressure to work, a bigger network of peers, most of your time is spent there and afterwards on extracurricular activities and studying. 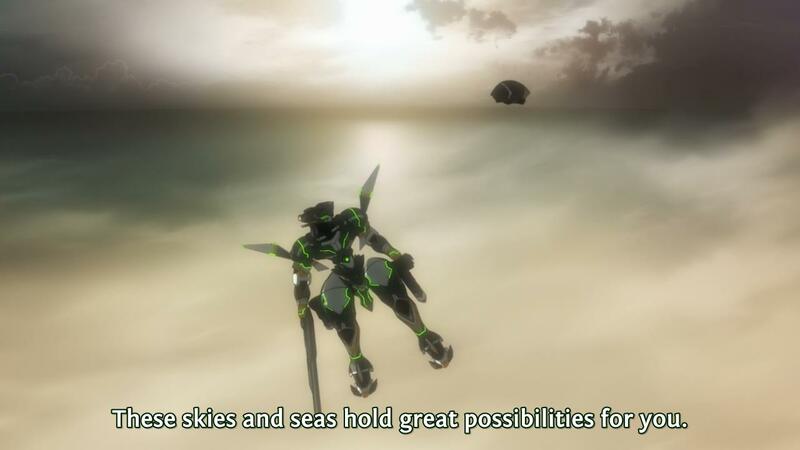 If that doesn’t embody escapism I don’t know what does. Looking at series that have enjoyed some popularity like Haruhi Suzumiya and Love Live to even some contemporaries that have aired like Sound! Euphonium, Tari, Tari, and even School-Live, the idea of youth and living a fulfilling school life sets at the center. Like with a lot of things in life, youth is something that you only get to experience once and being able to go through that period of time with no regrets and inspired to reach greater heights is an aspect I think most series (in their own weird way) are trying to illustrate. In terms of other works meant to speak to younger audience like the genres of shounen and shoujo, the goal is almost the same with inspiration, but in a different way. With Shounen series usually pitting the main character against insurmountable odds in a means to force them to become stronger, not only does this inspire self-improvement, but also fosters a sense of responsibility. For every battle fought, choice made, and romantic interest pursued – an equally and tantamount level of responsibility is also gained that not only teaches the character they have freedom to choose, but also deal with the consequences that follows their decision. Sport titles and the like also teaches the same lesson, but emphasize the typical camaraderie, group collaboration, and social relationships that transfer over into other areas of life such as the workforce. Shoujo works can be said to embody the same idea, carrying greater emphasis on love and ideal relationships that in many ways correlate to soft skills such as better communication. In the case of adults that work and constantly bogging down into the realities of life, these lessons probably won’t speak much too them, but in terms of reminding them of fonder times (if you consider your formative years in school fond) and opening a door to the realm of escapism as aforementioned – it does at least provide that much. Personally speaking, while it was fun to get home and choose anime series to watch or manga to read over the weekends for fun during my high school days, they did assist me a lot getting through my stressful college years, and even now, as I try to hold down an even more stressful job position. Just love how Ao Haru Ride puts basic communication into perspective. Thanks. I had this post ready for a few seasons (so much so I had edit it slightly), but glad to finally get it off the back burner. 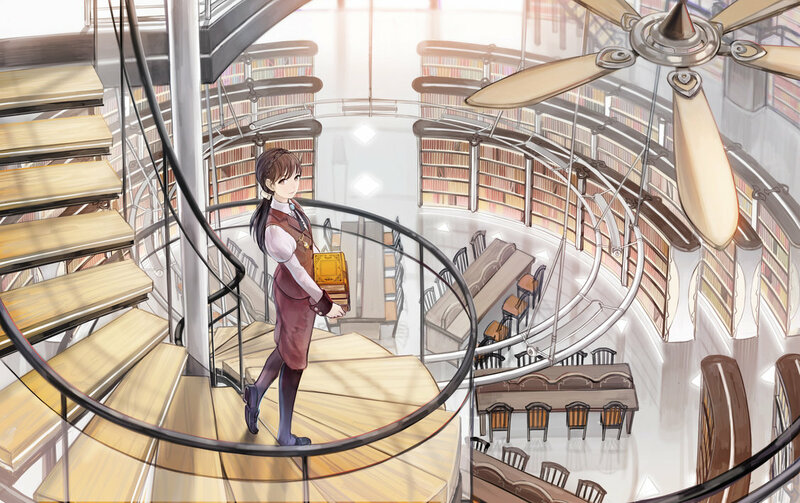 There are different manga genres that cater to different ages of the readers, but we have to assume that as readers grow older, their preferences change , as well. Take for instance shoujo genre. This genre obviously targets very young female readers whom we expect to be middle and high school students and whose life experiences I assume to be quite limited. Romance ,therefore , is idealized and fairy tale – like. A handsome, super rich , and highly intelligent male protagonist falls in love with the plain- looking , poor female protagonist who gets 2/100 in a test. This scenario is every young girl’s fantasy. Have you noticed how guys are drawn so beautifully ( they’re hot ) while the heroine is plain ? And in stories where there are rivals, the rival is usually beautiful, rich, and with great hairstyle. Have you noticed main girls have ugly hair ? Yes, I notice everything. In fantasy world, no matter how plain the heroine is, she wins. In real world, the hot, handsome, super rich, intelligent hero will never give her the time of day. As we grow older, and acquire more experience on how real life works, we become more discerning and realistic, and more nuanced. There will be less of kyaaaa kyaaaa moments and more of eye – rolling. Fantasy ends here. Goodbye, high school life, hello, real world. That was nicely put. Even though shoujo does play a great deal into female fantasy and the relatively limited experiences as you put it, there is a sense of comfort that goes along with it. I can’t say that it is well done for most series (not sure if I see the appeal of the domineering boyfriend), yet conforming nonetheless. However, I do fully agree that as you age, so do taste and is a good comparison between transition between the fantasy of childhood and reality of adulthood. I think there’s something to be said about high school being one of the most versatile and easy-to-use settings out of everything that is based on real life. Rarely do you have a setting that is as easy to work into an intense battle of life-and-death as it is to do sweet idealistic romances in. You have characters that can be both ridiculously mature and immature, and it can very well be the last time in life where one can encounter such a huge variety of individuals and have around equal opportunity to interact with any of them. Where else do you see both the honor student scoring in the top 10 in the nation and a hotblooded sports guy with bad grades or a delinquent in the same place? When you start going into workplace settings, the subject matters that you can talk about given one setting start becoming more specialized. There’s also the fact that office work in Japan sounds absolutely miserable, lol. Yeah, there is a bunch of diversity you can pack into the setting that ironically, is hard to get elsewhere. As much as the tropes and clichés bother most people, I do personally enjoy them (if done right) and like how much it can be repeated. Although, I do worry that these creators are running out steam. Of course, yeah, not too much you can do with the corporate setting, yet pretty much boring no matter which cultural lens you put it under, lol.